The purpose of ASK is to publish and promote biblical studies, primarily those of Dr. Ernest L. Martin. On occasion I publish my own writings on biblical and historical subjects. Because of the wealth of material from Dr. Martin it is rare that I have thought to publish articles by others, although I have done so on occasion. 1 This month’s article is such a rare exception. It is time for a geography lesson. “You shall bring them in, and plant them in the mountain of your inheritance, in the place, O YHWH, which you have made for you to dwell in, in the Sanctuary, O Lord, which your hands have established. God’s placement of His people in the land of Israel makes the geography of that territory of prime importance for history, current events, and future events. That location will remain until Christ’s return when the geography and geology will change due to great earthquakes that will occur (Zechariah 14:1–11). 4 Until the new heavens and earth come, the general geography of the Temple in Jerusalem within the land of Israel situated in the Middle East is extremely important. Dr. Friedman’s article brings out the current strategic problems that Israel had in the past and has at the current moment, and the challenges for the immediate future. 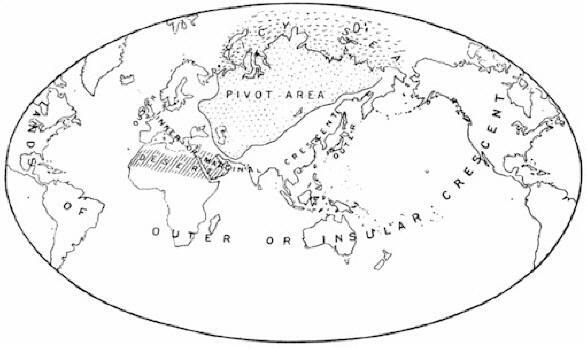 As a student of biblical, political, and military studies, I appreciate this concise yet comprehensive article about elements of geography which influence and inform a field of study called geopolitics. 5 Study this article two ways: first read it without the footnotes, then read it with the explanatory footnotes. The actual center of the world, both geographically and in history, is the portion of land that God gave to Israel. Israel is the nation chosen by God to represent (and be an example to) all other nations. As a result God placed them in the most conspicuous place on the globe. 9 In 1948 the people of Israel again took possession of the land that God chose for them. “Thus says the Lord GOD; This is Jerusalem: I have set it in the midst [Hebrew: “center”] of the nations and countries that are round about her. God dwells within you. All physical temples are merely stone representations of what is going on within you at the present moment. The Holy Spirit of the Creator dwells within you. At Christ’s command God’s energizing Spirit will resurrect you, energize you, and you will remember who you are. You are not only the center of the world in that sense, but you are also the center of all of God’s creation. God’s Holy Spirit within you is why He considers you a Temple of far more importance than any physical Temple of stone in Jerusalem can ever be, past or future. We who possess God’s Spirit are spread around the world and few of us know many or any others. God has deliberately separated us to limit contact with each other. Rejoice when you are blessed to have that contact. I pray that ASK is one means by which we and you, together as believers can have contact with each other in some small way. We are grateful for any contact we can have with you. We thank all of you who contribute financially to assist ASK so we can persist in research and continue to publish the work of Dr. Ernest L. Martin, to put forth the truth of the Gospel as God gives us the strength and ability to do so.